Yesterday I read on Rodalenews.com that a new study shows that not only are many insomniacs depressed, but also poor sleep might actually cause depression. I am fairly lucky in that I have always been a really good sleeper (except for those few first nights after I took over as CEO!). But I realize I have a pretty disciplined list of what is important for making sleep go well. #1: Start with a comfortable bed. I have an organic mattress that I got at the Organic Mattress Store. It’s topped with a 3-inch wool pad that is like sleeping on a fluffy cloud. Sure, a new organic mattress is not cheap, but think about it this way: You are going to spend at least a third, and hopefully half, of your time lying down on it. Find other places to scrimp! #2: Dress your bed with soft and organic sheets and blankets—preferably dried outside on the line. Surrounding yourself with softness that hasn’t been treated with harsh chemicals is a physical delight…and a requirement for good sleep. My husband thought I was just being a spoiled princess (OK, I am!) about this until I showed him my elbow brush burn from sleeping on cheap hotel sheets one night. #4: Don’t eat before bed. The childhood bedtime snack of yore should be just that—in the past. Try to eat at least two hours before bed; otherwise, you will have a bad feeling in your stomach that may lead to bad dreams…or so I imagine. #5: Instead, read before bed. This is truly my secret weapon. I believe one of the things that most leads to bad sleep is thoughts that run awry—not being able to stop thinking about something that’s bugging you, for instance. Remember how in school every time you read your homework assignment you would get really, really sleepy? Well, it still works. Nonfiction is the most sleep inducing. Frankly, a good romance makes it so hard to put down the book that I stay up too late—but it still works. It’s like a palate cleanser before bed, sweeping away any bad or strong taste that has lingered in your mind after a busy day. #6: If something is bothering you, write it down. This really helps. Write in a journal. Make a list or write a letter. You will feel so much better afterwards. On the very few nights when I do wake up in the middle of the night with something on my mind, I get up and write it out. Sometimes I go back to sleep. Other times I answer all those lingering emails. #7: Avoid watching TV or staring at your computer in a brightly lit room right before bed. I don’t know how many times I have read this, but no matter how many times I tell my insomniac husband, I still find him watching TV and working on his computer with fluorescent lights on until the wee hours. #9: Open a window. Fresh air is crucial to good sleep. If you have good, warm blankets you can snuggle up and, even in the middle of winter, sleep the night away. And if it’s nice outside, turn off the danged air conditioner and let the fresh air in. Also, avoid toxic air fresheners and overly scented candles and other things that make it hard to breathe (and therefore, hard to sleep). #10: Lastly, if nothing else works, find your happy place. My happy place is a shaded bed on a boat moored in the Caribbean Sea. The water is rocking me gently. It’s warm, but I don’t have to worry about sunburn. The breeze keeps all the mosquitoes away. The sound of water lapping on the side of the boat is soothing and sweet. The air is scented with sea, tropical flowers, and coconut…. Is there a pirate aboard? Perhaps. But he’s my pirate. Sweet dreams! My husband and I are still searching for the right mattress and pillows after 18 years. Since we both have back problems, (his way worse than mine), we change mattresses every few years, and purchase pillows more often. Haven’t found a mattress yet to suit our needs. We were supposed to get a mattress delivered to our home yesterday, but the delivery person called as I was about to go to bed to say that he had 2 more deliveries ahead of mine. I told him to forget about coming tonight and bring it another day. With all of the snow and wind, they should not have been out anyway. Now we don’t know when we’ll get the darned thing. I usually don’t have a hard time of getting to and staying asleep. Very seldom do I wake up, but in the past couple of years, I wake at 2:00a, then 4:00a, then 6:a and fall asleep again to get up at 7:00a altogether. My husband however, watches tv first, then reads, usually until 1 or 2am. I thought that would help him to sleep, but his mind seldom shut down and he dreams all of the time. Finds out he has sleep apnea, badly, and now uses a CPAP machine and sleeps like a baby. NO SNORING or thrashing about. I can’t sleep in pj’s. A thin gown or a man’s undershirt usually does the trick. I find that when I sleep in long pants and a long sleeved shirt, I end up at some point in the night stripping and sleep much better. A little fresh air in the night is the ticket. Unless there is gale force wind, open the window a little and get some fresh air. Does wonders for the stale room air and your lungs. I’ve been doing that for years. My grandmother always said that eating late and going right to bed will cause you to have bad dreams. She was corrrect as ususal! Not only that, but the food stays in the chest area and stomach. Now that I am older, I tend to remember many wise sayings of hers, and they are always right. Whenever I eat late and need to go to bed soon after, I always sit up for at least 2 hours before turning in, or drink a digestif that I buy in Europe and bring home. It is made with 46 different herbs and works magic on the digestive system. It takes some getting used to, but as I have been drinking it on and off for years, it’s wonderful. I love these tips! Especially #6 & #7. I’ve always kept a pad of paper and a pen by my bed in case something pops into my mind. Sometimes I have great ideas when drifting to sleep! When woken from nightmares, I often jot down some details of the dream which helped me overcome them. I have a sneaky suspicion staying up late, eyes glued to the computer might have contributed to those scary dreams! Fantastic sleep tips. I wholeheartedly agree with each and every one! My husband makes fun of me because I can fall asleep (and sleep well) just about anywhere. Insomniacs might say I’m wrong, but I swear it’s all about your state of mind. 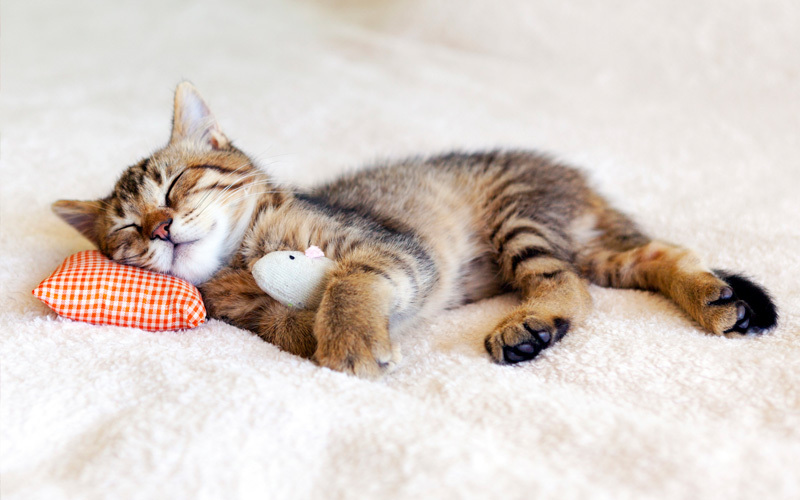 A clear mind, a relaxed body and the desire to catch a few winks…stop fussing and let it all go…Zzzzzzz…. Oh, except, I do have a small problem reading before bed as you mention….I can never seem to put that really good book down. Until, that is, I realize I’m missing chunks of the storyline because I’m falling asleeping! p.s. Ate the last jar of our homemade pesto this week and I almost cried! Thanks so much for the fantastic recipe over the summer. We’ll be planting 4-6 basil plants this year and making much, much more. Maria, You are right on about keeping it simple.However eating a few grapes and maybe half of a banana in the middle of the nite , and getting back to bed before the sugar rush kicks in is one of my summer favorite things to do.And I must say I have had no bad dreams, but only wildly colorful ones. Since we sold you that organic mattress your sleeping on we can also add that we think that has something to do with these great dreams. We suggest not doing it too much since it might cause acid reflux.But its worth it to me once and a while. When I become a Grandpa someday I will have different advice than past grandmas.Sleep on an organic bed, and get that organic snack. Taken from studies by Swedish researchers shows the existence of sleep disorders, diabetes risk in men increases. It is not working i have been doing this for days and still dousent work can you email me more tips? I fall asleep easily around 10 pm but can’t stay asleep. I wake up around 2am and can’t go back to sleep. Don’t know what I could do differently.